Tagged under Tachibana Higuchi, Group TAC, Series. As I've mentioned before, this manga won't be leaving you unsatisfied with the result. It's quite enjoyable to read, and the concepts are always well and appropriately displayed. There is some humour, but the manga isn't supposed to be taken as a comedy show- it's just there to usually lighten the mood or leave the reader with occasional bursts of laughter. The popularity of the manga suprises me as far the anime series is nothing mentionable. Weak character setup, storyflow has a bad pace. A few interesting moments and a few funny parts, but still not up for 26 episodes. But still, it doesn't change the fact that I enjoyed it, so let's leave it as a good anime. This anime is definitely one of my favs!! It's so cute--with a touch of comedy, a little bit of cute romance (love triangle to be exact), and a day in a life of Alice students. Mikan and Natsume rocks!! XD I really hope they make a season 2 for this one since the manga is still going on, and got lotsa exciting things going on. The concept of people (especially youngsters) having an Alice, or powers in the usual term, is really exciting. It's like watching the characters explore the depth of each one's unique alice make you go back to those fantasies you've had as a child, having superpowers and all. 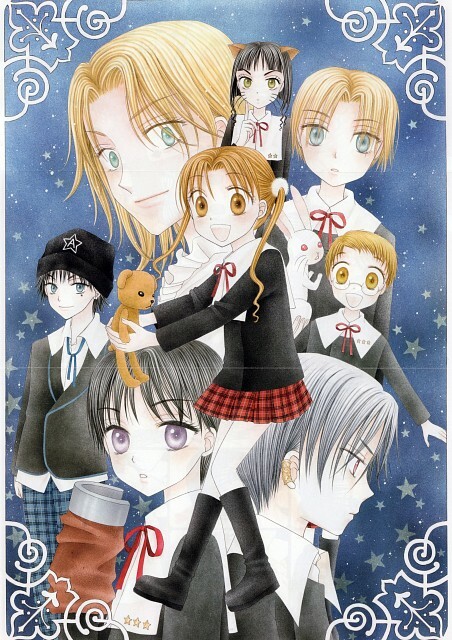 Plot-wise and art-wise, Gakuen Alice really piqued my interest, especially the fact that the transition of events went pretty smoothly yet mysteriously, too. However, I'm clamoring for a second season, hoping that would somehow justify the excitement contained in the manga. Still, this series is worth watching. The alice powers concept is really good! I also love the characters. I enjoyed the anime and I wish there's a sequel. I'm currently keeping up with the manga *and it seems like it'll soon come to an end*. The problem that I see is that I think they're too young to kiss (I mean, Natsume and Mikan) and all that. But, yeah this is manga. Wonderful story. I'm not finished yet in this anime because it's still ongoing.. But so far, the manga is near ti its end. At first, the story seems so light and shallow, but as the time goes by, you will knew the secrets of the different people there, which will surprise you. The love interest goes around Natsume, Mikan and Ryuka. They are very cute! Also, they're ALICE which refers to their powers also makes the story exciting. This most deal with the history of they're families in they're school which makes a significance in the story, that you will not see easily. they are cutest couple. They're personality is very opposite, but they are best fitted for each other. "Alice" describes the special ability one might possess. The school hosts all Alice users including a strange girl named Mikan whose alice does virtually nothing...or so it seems. She can negate other alices, which turns out ot be useful at times. Mikan's pretty stupid though...well the manga is much better than the anime for sure, but it's interesting. Best friends Mikan and Hotaru grew up in a small town in the remote countryside. When Hotaru moves to a school for geniuses in Tokyo, Mikan misses Hotaru so badly that she decides to travel to Tokyo herself to find Hotaru. She finds Hotaru in a school called "Alice Academy," and finds that the school is actually for people with special powers called "Alices." Narumi-sensei, a teacher at the school, discovers that Mikan also happens to have an Alice, and Mikan is admitted into the academy. There she finds friends, love, and a life that she will never forget.